I love pita bread. In fact, it's on my weekly grocery list along with cereal, coffee, and creamer. Yep, that important--up there with the coffee! When I saw some recipes on Pintrest, I knew that I had to try making homemade pita bread. I used the recipe from Annie Eats and they turned out yummy (although not as pretty as hers!). 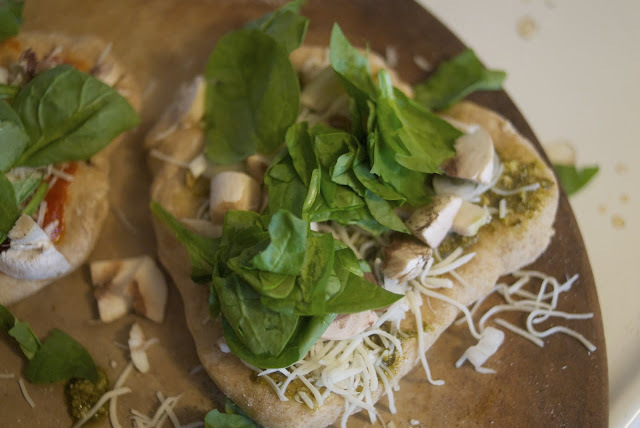 One of my favorite ways to eat pita bread is to make it into a pizza crust! 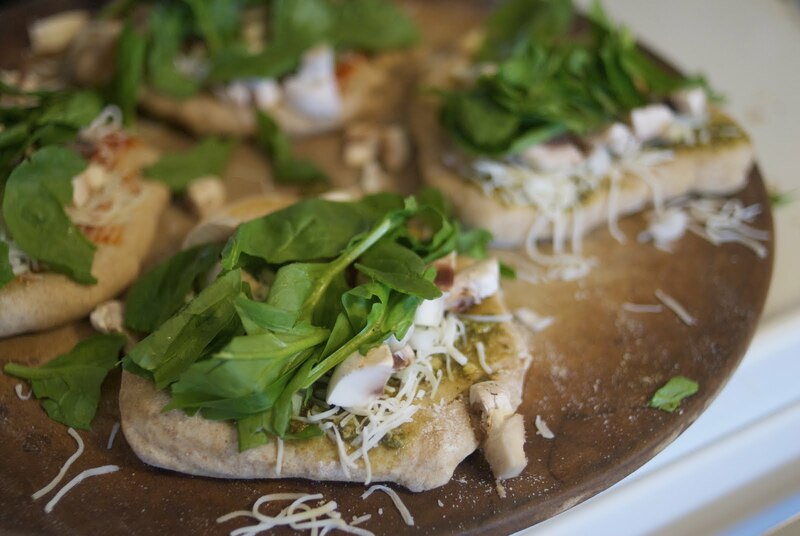 Usually, I can find some pizza fixings hanging out in the cabinet or fridge, and it makes an easy and quick dinner. 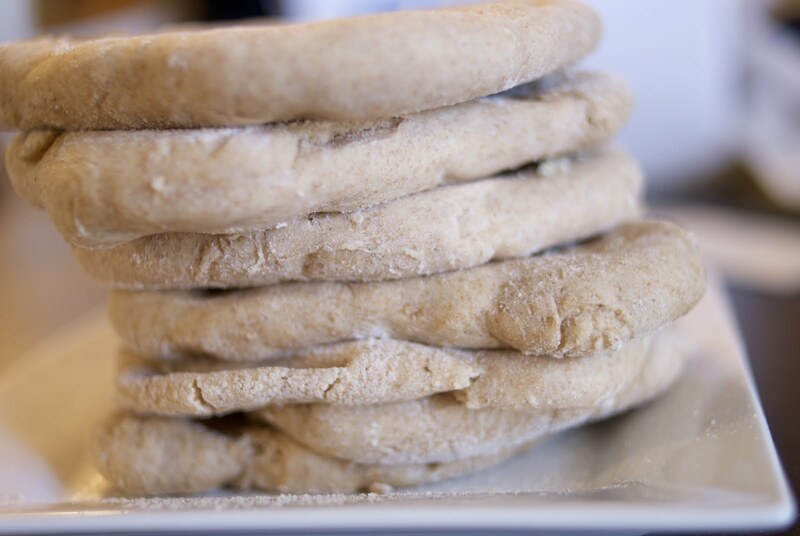 I actually can't wait to make some more pita bread--I might double the recipe and freeze the extra for later :) Although we don't have any kiddos yet (just an adorable, but sometimes annoying dog! ), I think this would be a really fun meal to make with kids. They get to make some dough, plus they can "decorate" their own pizza!